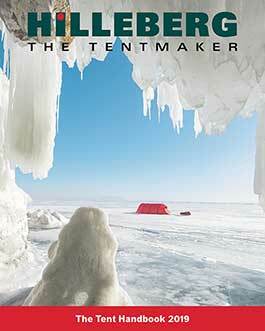 With this video, “Hilleberg – since 1971,” we want to share our 4+ decades of making and using tents. Our founder, Bo Hilleberg, is an avid, lifelong outdoorsman, and before founding Hilleberg he served as a soldier, trained and worked as a forester, and spent as much time in the backcountry as he could. When he started making tents in the early 70s, he was simply trying to make something that worked better for his own outdoor adventures. But in doing so, he and his wife (and business partner) created a long-lasting company with a dedicated hands-on approach that is equal parts old-school craftsmanship and technical innovation. In the beginning, Bo did the design and sales work, and Renate ran the production and made all prototypes. Today, we have over 60 employees in three facilities in three different countries, and we make nearly 40 different tent models. We still make our tents in Europe, and we are still proudly a small family company. Bo is Chairman, and is very involved with design and development; daughter Petra is CEO of the Hilleberg Group and also handles all company business outside of Europe; and Bo, Renate, Petra and her brother Rolf make up the governing board of directors.